Hello Qualitative Methods, It is Nice to Meet You! Ever wonder why people engage in certain behaviors? Do you want to know more about how people make decisions about their behavior and how they feel about what they do? If so, you may be interested in using qualitative methods to explore your research or evaluation questions. While many of us in the research and evaluation field are well versed in the benefits of using qualitative methods, some people seem to shy away from using them due to unfamiliarity and rely exclusively on quantitative methods instead. This blog is intended to provide a quick introduction to qualitative methods: what they are, when they are most useful, and some guidelines for effectively using a few popular qualitative methods. Qualitative methods collect descriptive data on phenomena. They are often used to gain an in depth understanding of human behavior, investigating the why and how of behavior, not just the when, where and what. They are useful for gaining insight into people’s attitudes, behaviors, experiences, feelings, concerns and motivations. Additionally, qualitative methods can provide context and depth to questions of interest and are especially useful for exploring a construct about which little is known. 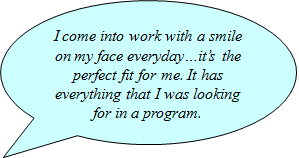 The results of qualitative data can be quite compelling as responses are documented in the individuals’ own words. However, there are limitations to consider when deciding whether or not to use qualitative methods, including the relatively large amount of resources needed for implementation and the related small sample sizes. Qualitative methods are labor intensive – especially transcription and analysis! Consequently, it is generally only feasible to collect data on small numbers of individuals. As a result, one must be strategic about choosing a sampling strategy and subsequent findings are often not generalizable. Despite these limitations qualitative methods are commonly used to great effect! Some popular qualitative methods are interviews, focus groups and observations. Let’s start with interviews. 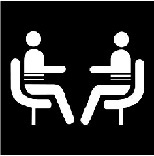 Qualitative interviews are one-on-one discussions with an investigator and a selected respondent. Interviews can be informal, more like conversations; unstructured, where particular general topics are covered; semi-structured, where there is an interview framework that guides the discussion; and structured where respondents all answer the same questions in the same order. Interviews are great for exploring a topic in depth with individuals and are an especially good method if the topic of interest is a sensitive one. 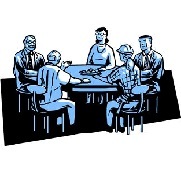 A focus group is a facilitated discussion with about 7 to 10 people on a particular topic. This method is very useful when you’d like people to be truly discussing a topic, responding to each others ideas and opinions. In contrast to interviews, focus groups are not recommended for sensitive topics and work best for topics that lend themselves to a friendly group discussion. In order to stay focused and make the most of the time allotted, good facilitation skills are a must. The method of observation is especially useful to gain insight into experiences that may be hard to explain or put into words. Observation is generally either participatory or ‘unobtrusive’. During participant observation, the investigator is engaged in some way with the people he/she is observing (for example, taking part in the training that is being evaluated). During unobtrusive observation activities, the investigator remains separated from the people he/she is observing – for example when a researcher observes the use of a fitness trail by sitting anonymously at the side of the trail and recording what he/she sees. Those are few of the most popular qualitative methods. Hopefully this quick introduction has enticed you to explore the use of qualitative methods in your next investigation. If you do start to use these methods you may wonder “what do I do with all this data!? !” Stay tuned for the next blog in this four-part series: tips and tricks for qualitative data management. Note: different projects require different methodological approaches. The methods presented here are examples of popular qualitative methods, but it is certainly not an exhaustive list. You may find other methods fit your project’s aims more effectively and appropriately.